Other Notes: So fresh and so green, Green! 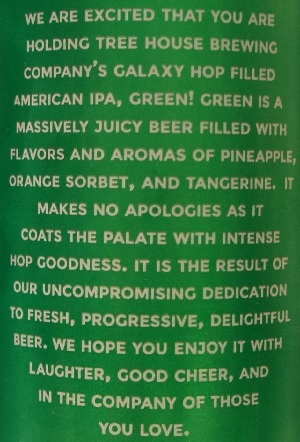 Brewer Description: (from can) We are excited that you are holding Tree House Brewing Company’s Galaxy hop filled American IPA, Green! 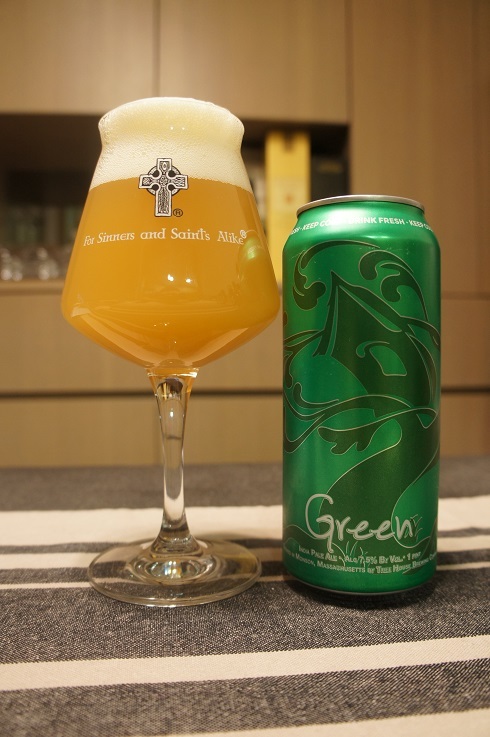 Green is a massively juicy beer filled with flavors and aromas of pineapple, orange sorbet, and tangerine. It makes no apologies as it coats the palate with intense hop goodness. It is the result of our uncompromising dedication to fresh, progressive, delightful beer. We hope you enjoy it with laughter, good cheer, and in the company of those you love. Intro: A 1 pint can, canned on 27th July 2017. Poured into a Lost Abbey teku glass. Appearance: A hazy murky dark yellow orange colour with a just under two finger white head that had excellent retention and left nice lacing. Aroma: Strong pineapple and mandarin orange followed by very juicy mango and hints of grass. Taste: Sweet-ish bubblegum, peach, orange rind, mandarin, pineapple and cantaloupe. Finish is only lightly bitter. Mouthfeel: Creamy, medium bodied with moderate to low carbonation. 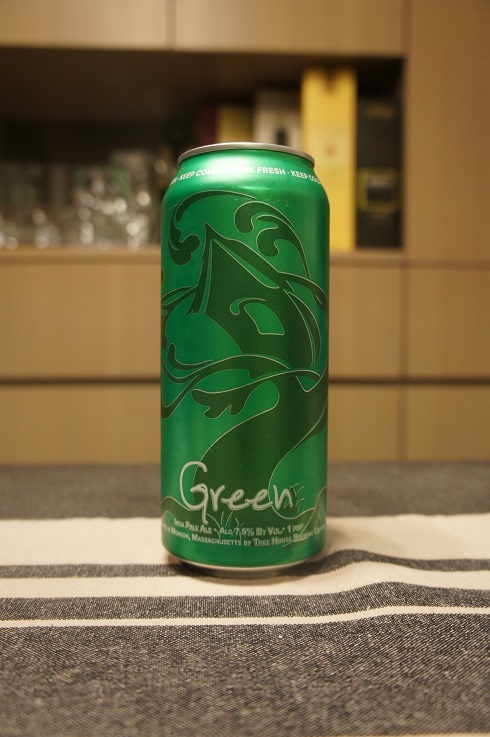 Overall: While the aroma was very juicy, it’s taste was not so much, nevertheless it was still enjoyable and easy to drink. For me, I definitely preferred Alter Ego and Julius. 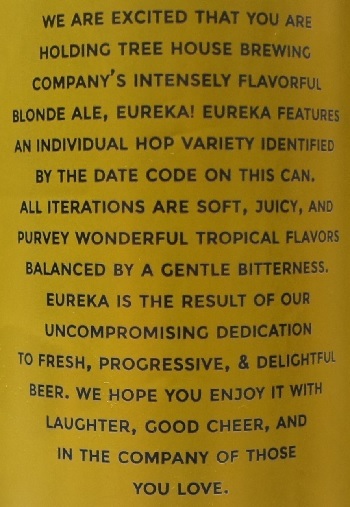 Brewer Description: (from can) We are excited that you are holding Tree House Brewing Company’s intensely flavorful Blonde Ale, Eureka! 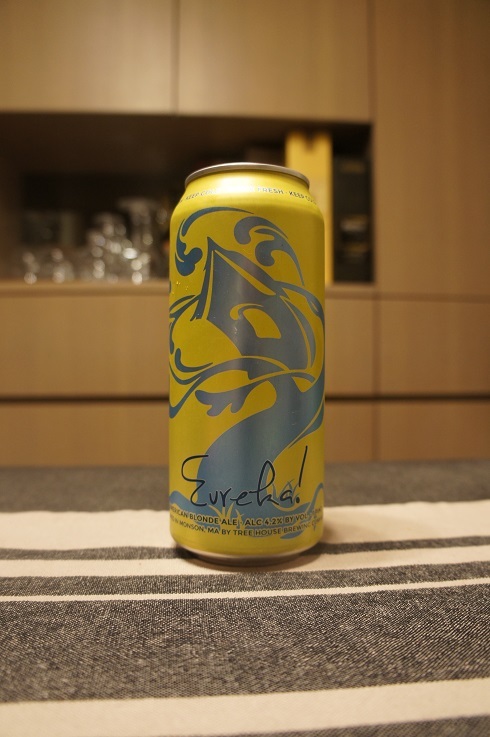 Eureka features an individual hop variety identified by the date code on this can. All iterations are soft, juicy, and purvey wonderful tropical flavors balanced by a gentle bitterness. 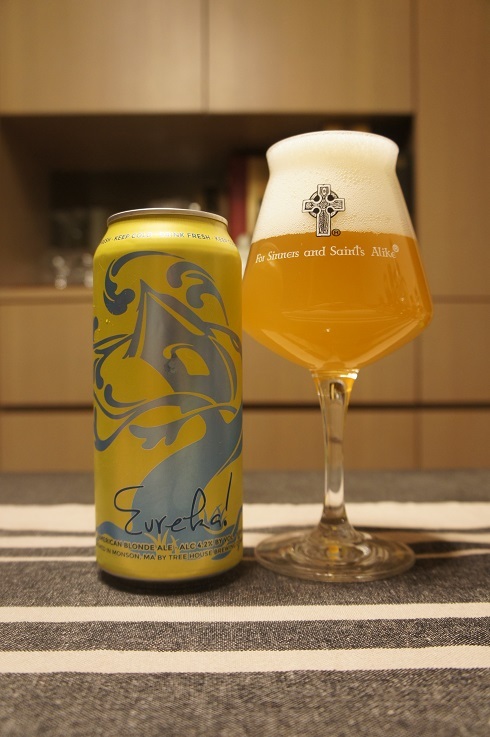 Eureka is the result of our uncompromising dedication to fresh, progressive, & delightful beer, we hope you enjoy it with laughter, good cheer, and in the company of those you love. Intro: A 1 pint can, canned on 26th July 2017. Poured into a Lost Abbey teku glass. Appearance: A hazy golden straw yellow colour with a big three finger frothy white head that had decent retention and left some nice sticky lacing. Aroma: Under ripe mango, apricot and pineapple followed by citrus rind, grapefruit, melon, grass and pine. Taste: Mango and apricot with strong orange rind, lemon zest and grapefruit. Overall: Body is heavier than expected, but much like the Citra version, it was very nice and refreshing with lots of tropical and citrus fruitiness. Other Notes: Utah! Get Me Two! Brewer Description: No description on their homepage at the time of writing. Will update this if something changes. Intro: A 1 pint can, canned on 7th July 2017. Poured into a Lost Abbey teku glass. Appearance: A hazy yellow orangey colour with a big three finger white head that had great retention and left nice lacing. Aroma: A bit doughy and bubble gum-ish, not in a bad way, followed by lots of tropical fruits, guava, melon, mango and pineapple with hints of orange pith. Taste: Mango, guava, cantaloupe and pineapple dominate with some citrus, pine, bubble gum and light bready malt in the background. Mouthfeel: Creamy, light to medium bodied with moderate carbonation. Overall: This was really nice but not quite up there with psudeoSue or Zombie Dust for APAs in my opinion. Not a juice bomb, but good fruitiness in both the aroma and taste. Refreshing and easy to drink. 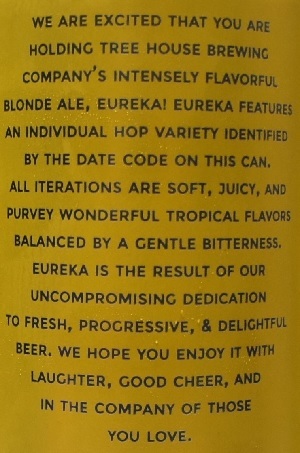 Brewer Description: (from can) We are delighted that you are holding Tree House Brewing Company’s intensely flavorful Blonde Ale, Eureka! 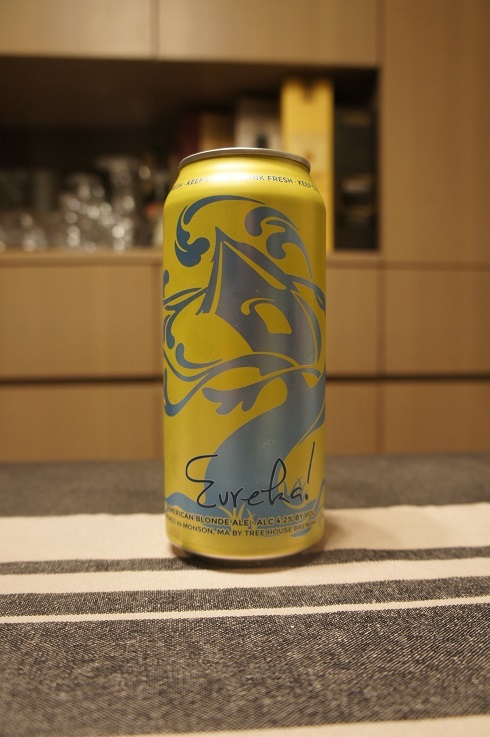 Eureka features an individual hop variety identified by the date code on this can. All iterations are soft, juicy, and purvey wonderful tropical flavors balanced by a gentle bitterness. Eureka is the result of our uncompromising dedication to fresh, progressive, & delightful beer, we hope you enjoy it with laughter, good cheer, and in the company of those you love. Intro: A 1 pint can, canned on 30th June 2017. Poured into a Lost Abbey teku glass. Appearance: A hazy golden yellow orange colour with a big three finger white head that had decent retention and left nice sticky lacing. Aroma: Very nice tangy and citrusy grapefruit and orange zest with hints of tropical mango plus a touch of breadiness. 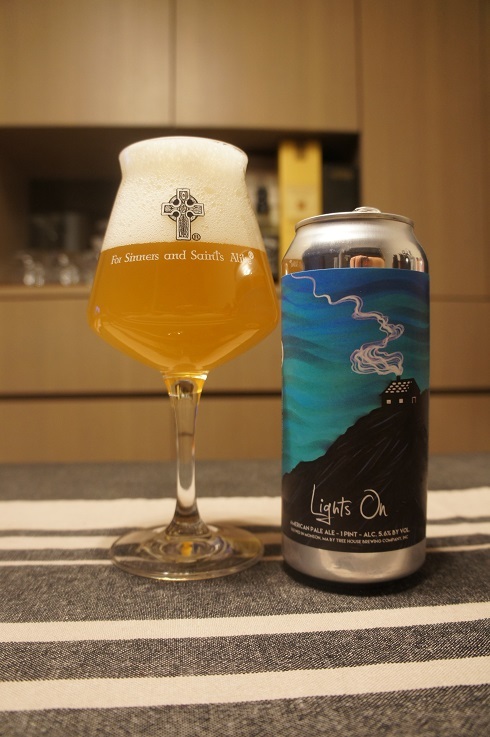 Taste: Good balance of citrus and tropical fruitiness with grapefruit, mandarin sweetness, pineapple and lightly under ripe mango with a touch of bread and cracker on the finish. 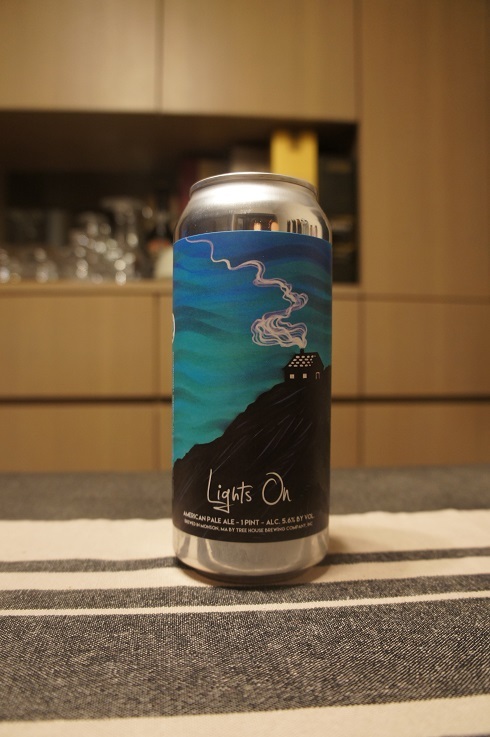 Mouthfeel: Light to medium bodied with moderate to high carbonation. 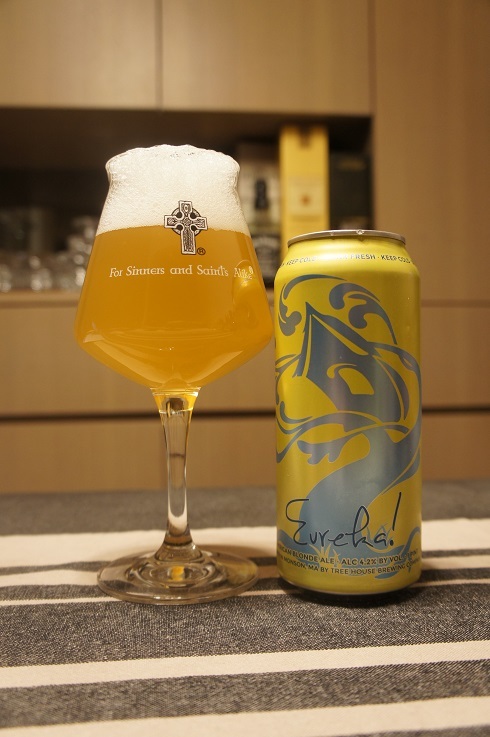 Overall: More body than expected, but other than that, this was a very nice and refreshing beer that is definitely sessionable.